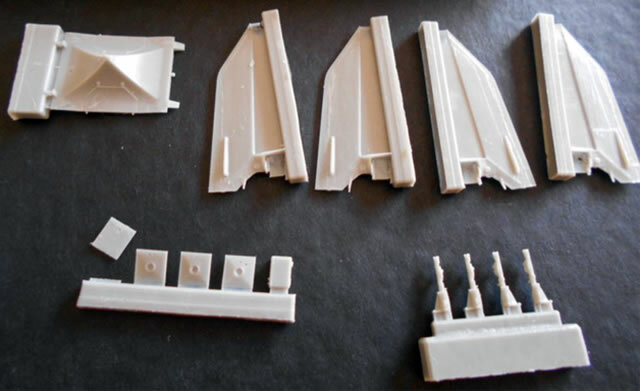 16 grey resin parts; 11-part PE fret,; instructions. First kit of this weapon available in this scale, blemish-free resin, strongly packaged and with good colour call-outs. 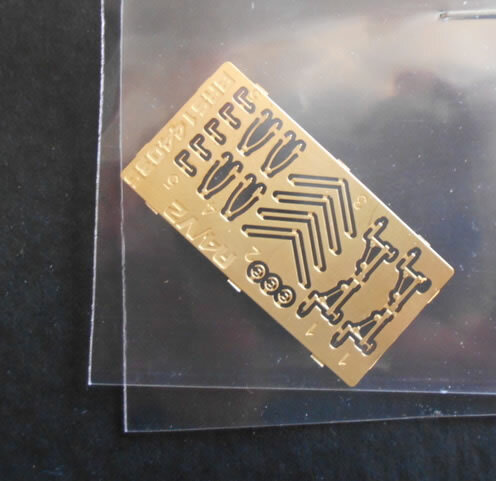 Tiny, tiny parts that will require a lot of patience to attach. A fine, in every sense, replica of this important weapon in 1/144 scale. Nicely cast and well detailed. There is a build of this kit on Hyperscale 1/144 Forum by N9JOY on 29th June 2018. The V-2 is best remembered as the weapon used by the Wehrmacht in small numbers to frighten and punish the British in cities and countryside in the last year or so of WWII until most of the launch sites were wiped out in bomber raids and by advancing Allies. 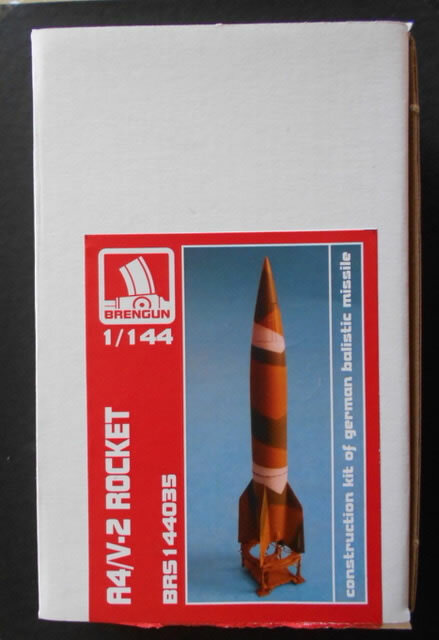 This is the first 1/144 kit of this weapon and comes in Brengun’s strong top-opening cardboard box with a set of instructions on both sides of an A5 sheet. It consists of 16 finely moulded grey resin parts with no visible blemishes. Supporting these is an 11-part PE set, but no decals are provided. 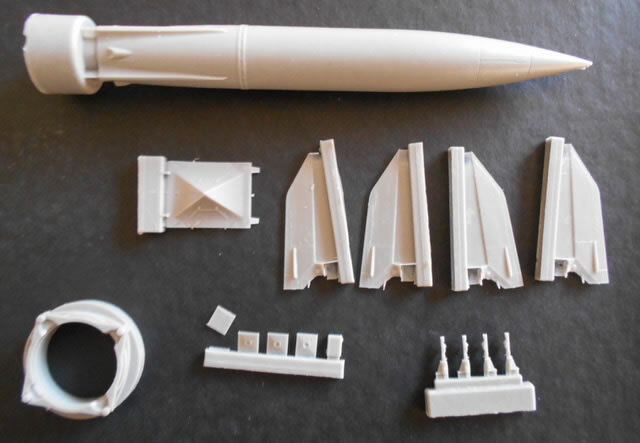 The main weapon body comes with a substantial moulding core that will need to be carefully separated, although the fins need only a fine web to be cut. Care will be needed to get a square surface for the fins as any wonkiness would be very obvious in something so small. Don’t forget to wash all parts before commencing construction. The firing base makes use of the remaining resin and all the PE and care will be needed separating the parts - I would recommend doing this inside a clear plastic bag lest you feed the carpet monster. 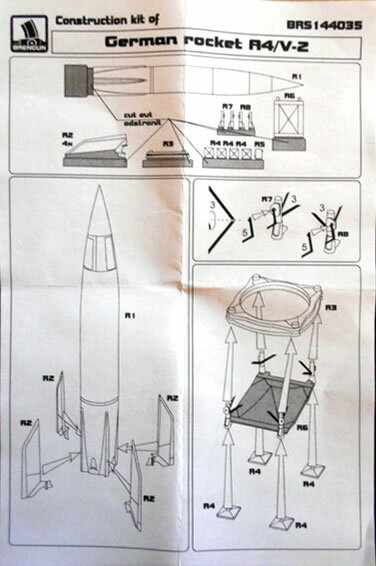 I would also recommend following the instructions religiously as some of the tiny parts are handed. This particularly applies to the struts between the firing base R5 and the support ring R3 as they are very small and require some even tinier PE pieces to be folded and attached as you go along - rather you than I boys! I would heartily recommend clearing the bench and getting sheet of black cardboard against which these parts will stand out , and wear a jewellers apron! 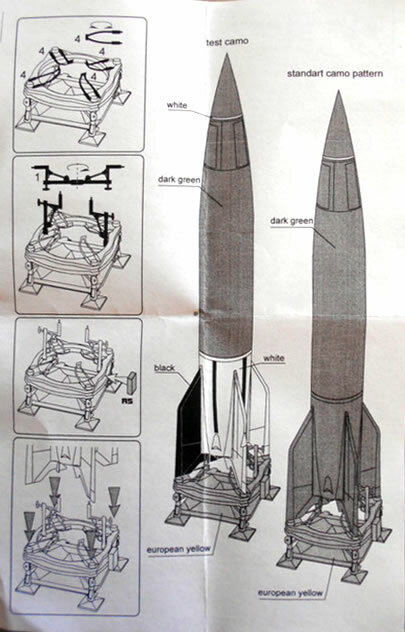 Colour details are given for a test weapon in dark green with the lower section in white and the fins black on one side, with black and white stripes on the body, on yellow firing base. I think these stripes should have been provided as decals as they are so fine - I would suggest using strips of black lines that surround the new Airfix decals to replicate these lines. The second version uses the same yellow base but this operational weapon is overall dark green. Which of the numerous German greens is needed is not mentioned so it is up to the modeller.